﻿Greg is a medical specialist in Sport and Exercise Medicine and a Fellow of the Australasian College of Sport and Exercise Physicians (2008). Sports medicine has been his full time career choice since 2001. Greg trained in Melbourne & Darwin, working with elite and community sports groups including Richmond AFL Football Club (2002-2007), NT Institute of Sport, NT Mosquitoes Rugby Union team, AIS U-23 Cycling squad and the Alice Springs Masters Games. He also has experience in Emergency and Intensive Care Medicine and has worked as an expedition doctor in Australia and overseas. He travelled with Australian teams covering 2016 Olympic test events and he is looking forward to covering the 2017 Snowboard and Freestyle skiing World Championships. His professional interests include cycling, all football codes, tendon injuries, foot and ankle injuries, expedition medicine, winter (snow and ice) sports and motorsports. 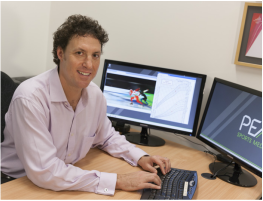 In his current role heading Sports Medicine & Research for Motorcycling Australia RaceSafe Medical Team he is Chief Medical Officer for National Motocross, Supercross and Australian Superbikes series, and the FIM Speedway Grand Prix. He is a member of the International Society for Mountain Medicine. and a CAMS (Confederation of Australian Motor Sport) Accredited Medical Examiner. In addition to his motorsport research projects (such as knee ligament injuries, 'arm pump' and concussion), he has published a number of papers on high-altitude exercise and hydration in exercise. He has presented at national and international conferences on these and other topics, and he consults to the Solomon Islands Sports Medicine Commission. Greg is a strong believer in providing elite sports medicine to the local community and maintaining close links with other local health professionals for the benefit of his patients, both young and old.